I finally have my husband fully on board with eating low carb meals! It took 3 years, but he is 100% on board and guess, what, he is down 15 lbs too! I get to adapt a bunch of our favorite recipes now without complaints and it has been awesome. 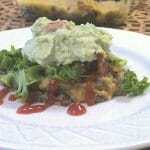 Today I have to share with you this amazing guacamole bacon ranch cheeseburger casserole. We love cheeseburgers in our house. Honestly, if we could eat them daily, we would, but the buns are just too much for for me (even though I LOVE bread) and I needed a meal that everyone would enjoy. I am too extra to just have a cheeseburger casserole, so I added a few of our favorites and it was incredible. 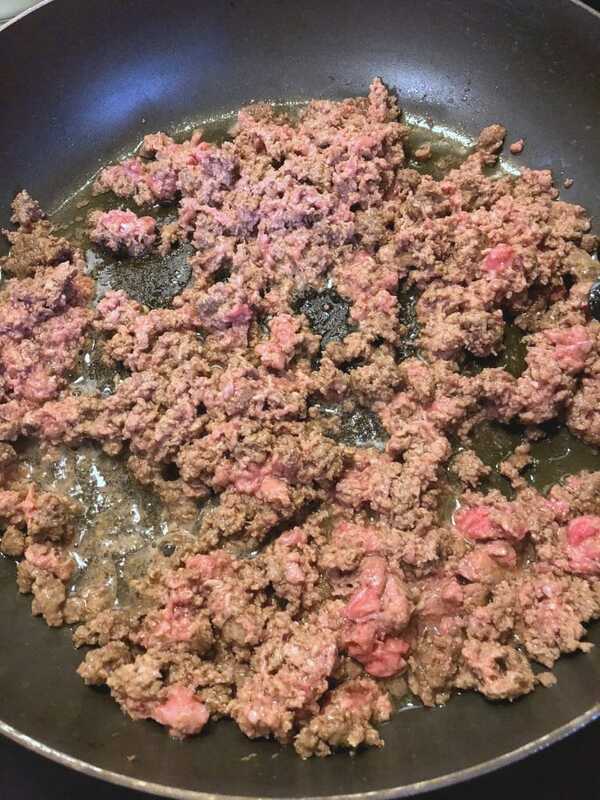 A cheeseburger casserole, needs hamburger meat, so grab a pound of ground beef and get to browning it. You can add whatever spices you like in at this point, but I like to keep it pretty simple and just get the meat cooked. 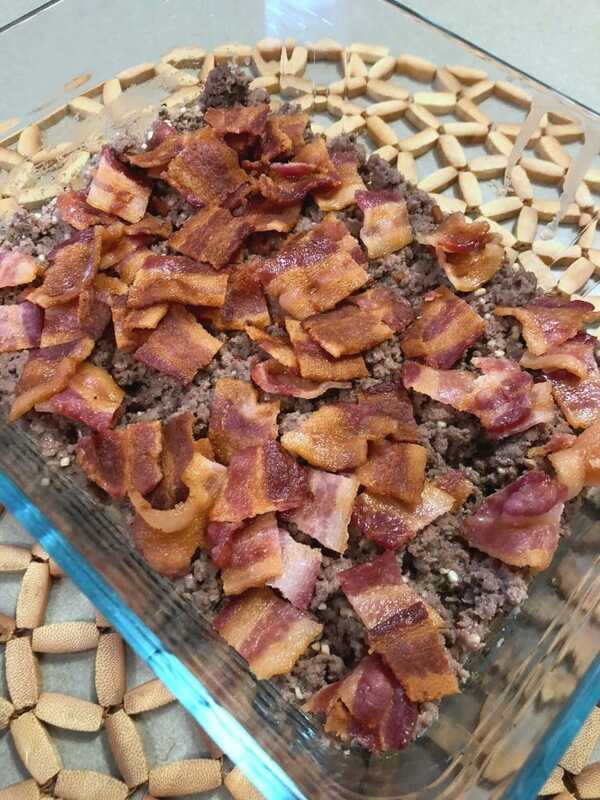 While the meat is browning, cook about 8 slices (1/2 lb) of bacon either in the oven or stove top. Our family loves garlic, so of course I had to add some minced garlic in while the meat was still cooking. Once everything was cooked well, I drained the grease from the meat. Next, I added a package of Ranch mixture. So far we are at less than 1 gram of carbs per serving with the meat, ranch mix and garlic. Mix the ranch seasoning in well and then remove from heat. Grab a small casserole dish (8 x 8 or 8 x 10 works great) and grease it. Then add your meat mixture to the bottom of it. Some people like to use eggs to hold the meat together at this point. I am allergic to eggs, so I do have to use them sparingly and the cheese will hold everything together just fine, so eggs really aren’t necessary. Take your cooked bacon and break it into 1 inch pieces. 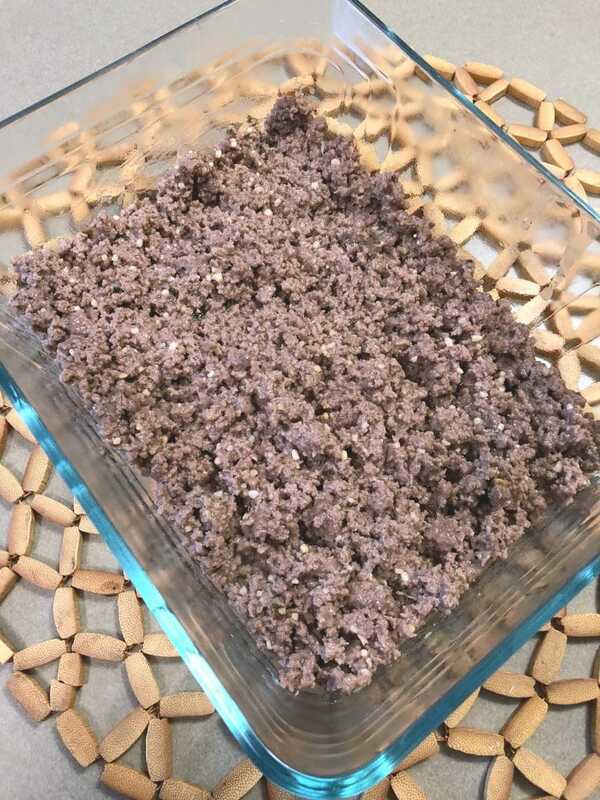 Scatter those evenly over the top of your ground beef mixture. I actually used a microwaveable bacon cooker to get my bacon to be more straight and crisp, but the manner in which you choose to cook your bacon doesn’t matter. Just break it up and top that ground beef. 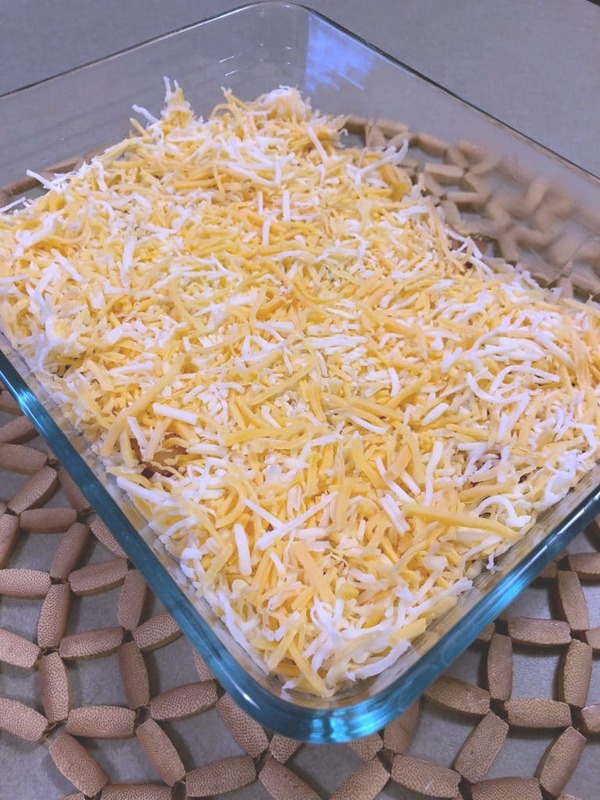 Coat the top of your casserole in shredded cheese. I like a good colby jack, but a sharp cheddar would be delicious as well. It is your casserole, just get some cheese on this deliciousness! Pop it in the oven until the cheese is nice and melty and then slice up and serve with ketchup, lettuce, pickles (if you’re into that) and a generous heap of guacamole. 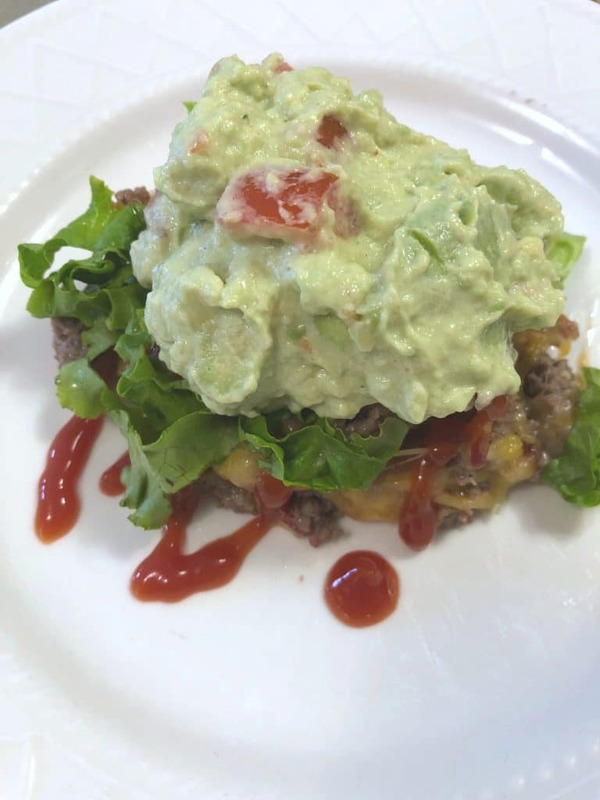 You can grab my guacamole recipe here and if you are going really low carb, cut out those tomatoes and ketchup. 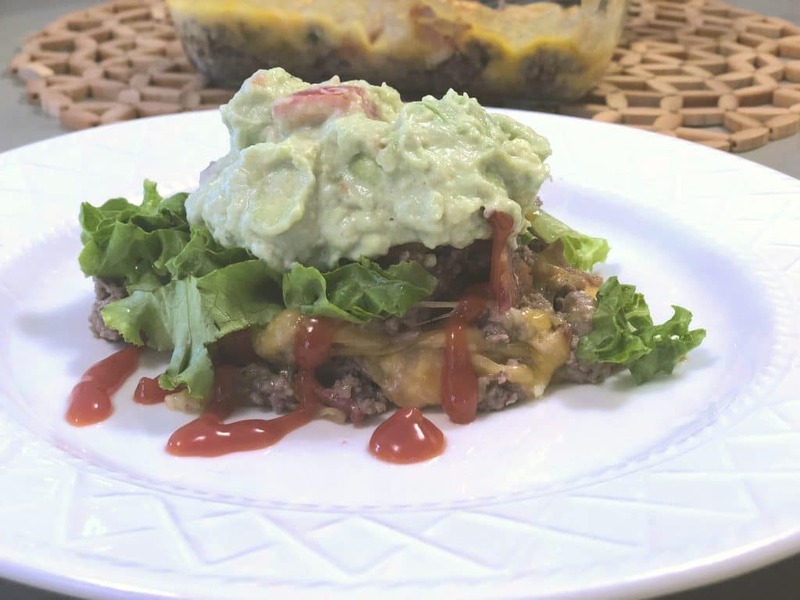 This is the easiest and best low carb recipe for an incredible guacamole bacon ranch cheeseburger casserole. 2. Cook the bacon and brown the ground beef in separate pans. 3. 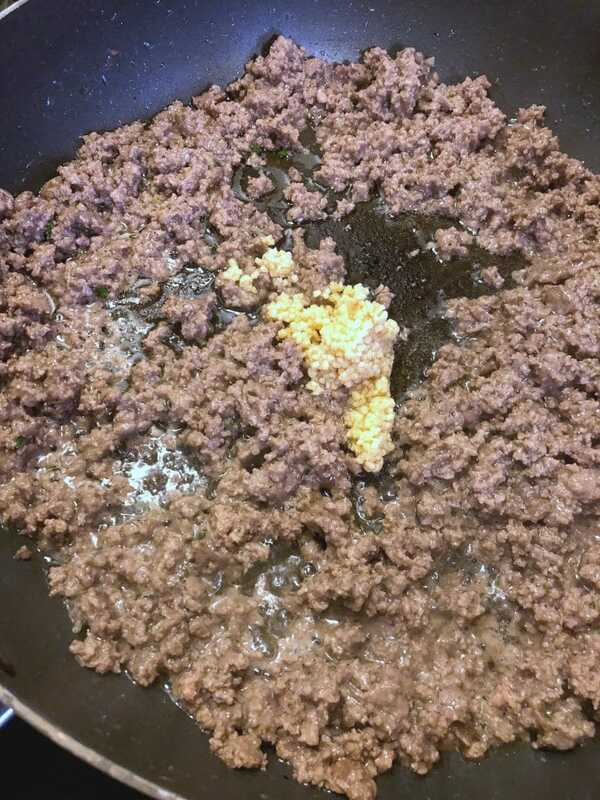 Add minced garlic to the ground beef mixture and drain grease if needed. 4. 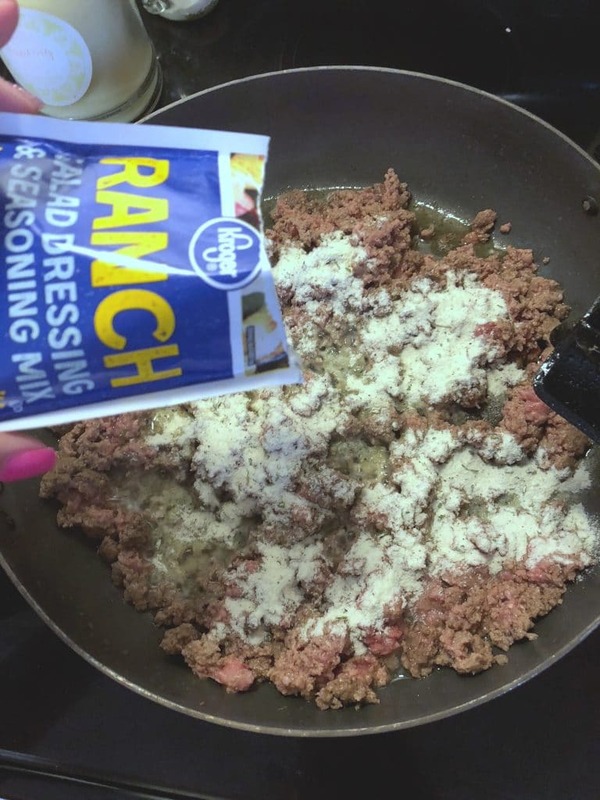 Mix in the ranch dressing to the ground beef. 6. Top the beef with your chopped up bacon pieces. 7. Sprinkle cheese atop the bacon and beef layers. Bake until cheese is melted. 8. Remove from oven, slice into 6 sections and serve topped with guacamole (and any other toppings you love with a cheeseburger). Your family is going to love this guacamole bacon ranch cheeseburger casserole, and your body will thank you. This delicious slice of heaven comes in at just 1.5 carbs (not including the ketchup) and is great for dinner and leftovers!